Compatibility: Linux 2.2.x, 2.4.x, Microsoft Windows 95, Windows 98, Windows 2000, Windows XP. 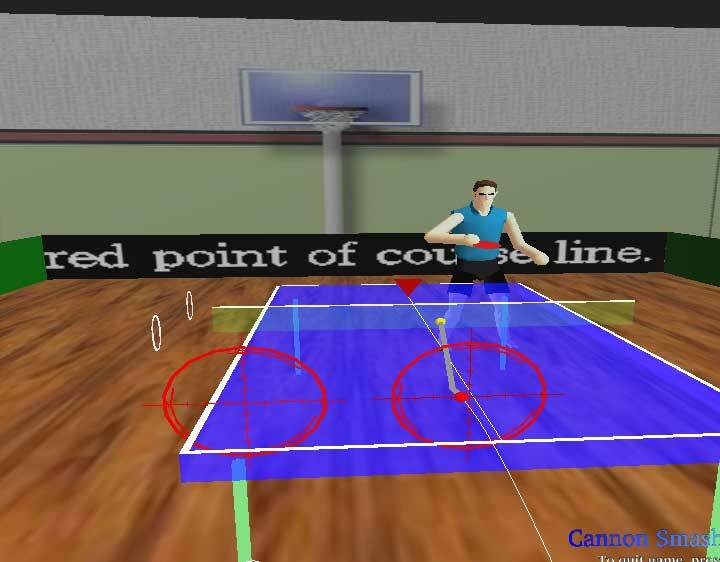 Table tennis is a great game…but on the computer it is just frustrating…. I have to admit this is a great game, but it can get a little frustrating. 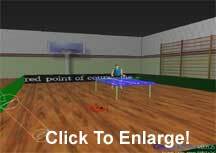 First of all, this is nothing like playing real table tennis (I am actually good at real table tennis), and when you are playing the game it seems as if it is impossible to gain a point, because your computer opponent seems to be “perfect” (no matter which level of difficulty you choose). After playing it for like an hour, I got only 2 points total. The graphics are great for a free game, and furthermore, the graphics are in 3D. 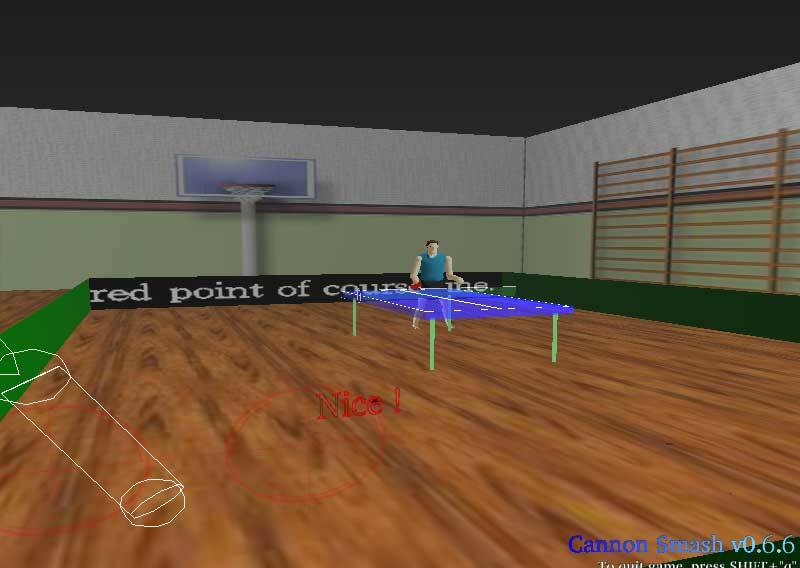 While playing the game, you will notice that you seem to be in a gym of some sort (note the basket ball hoops)…the only thing is…why in the world would you be playing table tennis in the middle of a gym? Finally, I must note that if you set the graphics mode to simple, you will not see the “scenery” and your character and your opponent’s character will look like a wire-framed sculpture. However, unless your computer is a tad slow, you probably won’t have to use the Simple Graphics Mode. Not only are the graphics exceptional, but the sound too. There is no music in the game, but the sound effects seem very realistic. Additionally, you will notice that the left and right sound channel’s sound correspond to where the ball goes, making it even more realistic (in a surround sound like effect). The one-player game against the computers didn’t arouse too many problems, but the Internet Game caused a ton of problems. After trying to play the online version of the game with my moderator on the Cybernet Resources Forums, it crashed every time. Additionally, when it did work for about 5 minutes, the lag was to the extreme, and after the first serve, neither of us were able to serve again. However, this will not downgrade my opinion of the game in any way since I have dial-up, and for the point that it says the Internet Mode is still under development. In conclusion, this is one great free game that will keep you busy for hours. The download may be a hefty 6.84MB, but is definitely worth it.